100 % natural active ingredients: Olive*, Grapeseed*, Macadamia*, Fine Lavender*, Ylang-Ylang*, Carrot, Geranium. 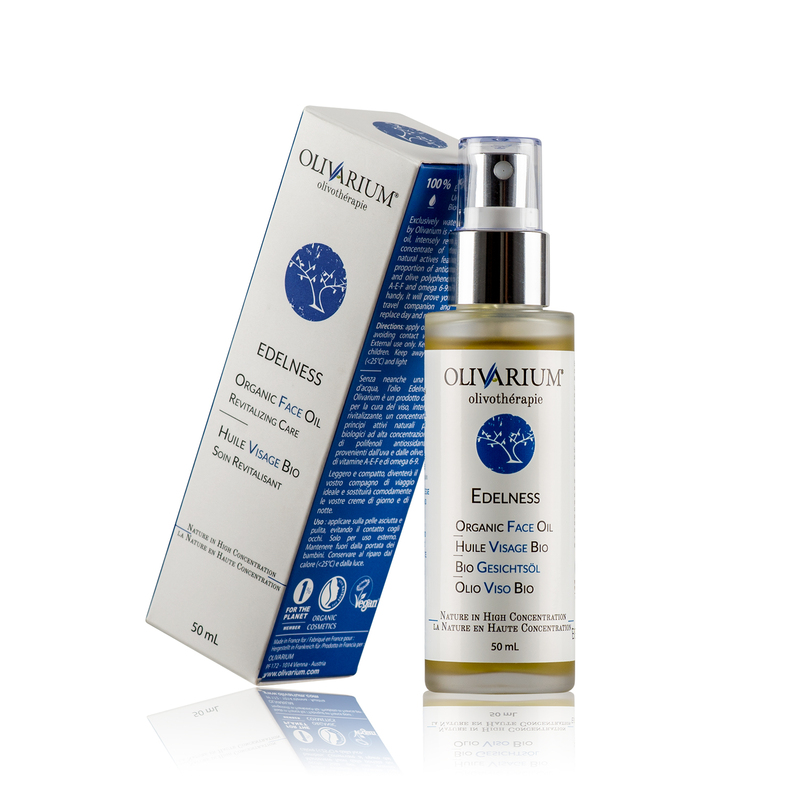 The EDELNESS Olivarium organic face oil is a luxury face care intensily revitalising and a concentrate of naturel actives featuring a high porportion of antioxidant grape and olive polyphenols, vitamins A, E & F and omega 6 & 9. It is most appropriate for anti-aging, skin cell regeneration (age spots). organic virgin oils (grapeseed*, olive*, macadamia*) to ensure optimal anti-aging and skin regeneration. essential oils to heal (carrot, geranium), tonify (ylang-ylang*) and cleanse (fine lavender*). Light and handy, it may prove your perfect travel companion and replace day and night creams. It is also appropriate for healing purposes (superficial skin burns, minor wounds). linalool, citronellol, geraniol, benzyl benzoate, limonene, benzyl salicylate, citral, farnesol, isoeugenol (natural component of essential oils).